© Kuhn et al. ; Licensee Bentham Open. The presence of acid-fast bacilli (AFB) in laboratories has traditionally been demonstrated using the fluorochrome method, which requires a fluorescent microscope or the Ziehl-Neelsen (ZN) method employing light microscopy. Low sensitivity of the ZN method and high costs of fluoroscopy make the need for a more effective means of diagnosis a top priority, especially in developing countries where the burden of tuberculosis is high. The QBC ParaLens™ attachment (QBC Diagnostic Inc., Port Matilda, PA) is a substitute for conventional fluoroscopy in the identification of AFB. To evaluate the efficacy of the ParaLens LED (light-emitting diode) system, the authors performed a two-part study, looking at usefulness, functionality and durability in urban/rural health clinics around the world, as well as in a controlled state public health laboratory setting. In the field, the ParaLens was durable and functioned well with various power sources and lighting conditions. Results from the state laboratory indicated agreement between standard fluorescent microscopy and fluorescent microscopy using the ParaLens. This adaptor is a welcome addition to laboratories in resource-limited settings as a useful alternative to conventional fluoroscopy for detection of mycobacterial species. Keywords: Tuberculosis, mycobacteria, fluorescent microscopy, acid-fast staining, paraLens. Tuberculosis is a leading cause of disease and death worldwide, especially in resource poor settings in the developing world . Staining of slides by Ziehl-Neelsen (ZN) methods for AFB diagnosis remain the main procedure utilized in these countries, while fluorescent microscopy has been used in developed countries for decades in the identification of M. tuberculosis in clinical specimens . Acid fast staining and microscopy is technically challenging and labor intensive. Culture techniques, the gold standard for tuberculosis diagnosis, are also expensive, technically difficult and generally not available in developing countries. Fluorescent microscopy of sputum smears is an alternative to traditional AFB (acid fast bacilli) staining and light microscopy. A portable LED (light-emitting diode) fluorescent adaptor, called ParaLens™ (QBC Diagnostic Inc., Port Matilda, PA), allows a traditional light microscope to utilize fluorescent technology. However, little is known about the functionality of LED-based systems for AFB fluorescent microscopy in the developing world. Therefore the purpose of this study was to test this ParaLens system (an updated version from a previous non-QBC based attachment) and thus fluorescent microscopy in various urban and rural resource poor settings lacking conventional laboratory facilities to determine its usefulness in these environments. The authors also compared the accuracy of the ParaLens versus a traditional fluorescent microscope in a controlled setting for the diagnosis of mycobacterial disease in a public health laboratory in the United States. The ParaLens system was tested in various health post settings: portable health clinics in remote rural villages in Bangladesh, a rural and urban clinic in Trinidad and an urban laboratory in Ethiopia. The project was approved by the Human Assurance Committee at the Medical College of Georgia and the Institutional Review Board at the Maryland State Department of Health and Mental Hygiene. The ParaLens was provided at no charge to the investigators by QBC Diagnostics, Inc for evaluation in this and other ongoing research. The ParaLens is a commercially available product, in use for detection of blood-borne parasites and other infectious diseases using fluorescent technology. It is a portable fluorescent attachment, providing blue violet light through AC outlets or a 12V electrical source. 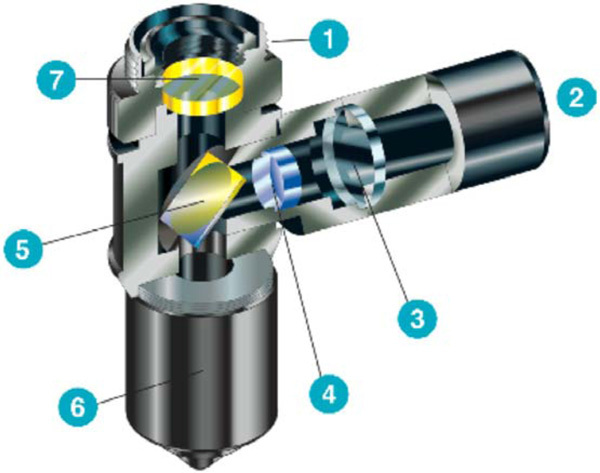 The attachment utilizes a 60x oil objective lens, using standard RMS (Royal Microscopy Society) threading which allows compatibility with standard light microscopes (See Fig. 1). Schematic of the QBC ParaLens™ attachment for fluorescent microscopy . 1. Standard threading. 2. Blue LED light source. 3. Focusing Lens. 4. Excitation filter (385-480 nm). 5. Dichroic beam splitter (reflects blue light downward, allows fluorescent light from specimen to pass to user). 6. Objective lens (60x oil). 7. Emission filter. (A). AFB stained using QBC ParaLens™ system, Auramine-O/Rhodamine B (Truant’s Modification) (60x ParaLens objective w/oil, Olympus CH40 compound microscope). (B). 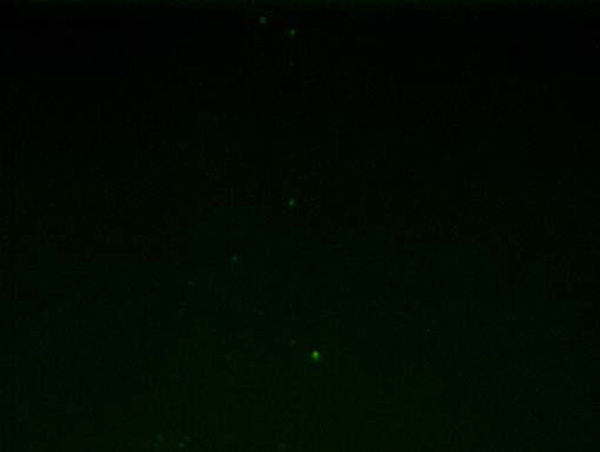 AFB stained using conventional fluorescent microscope, Auramine-O/Rhodamine B (Truant’s Modification) (x40 Uplan objective, Olympus BX51 Fluorescent Microscope). Negative control (E. coli) using the QBC ParaLens™ system, (60x ParaLens objective w/oil, Olympus CH40 compound microscope). The QBC ParaLens™ attachment in use by the author (WK) in a rural clinic in Bangladesh. The durability portion of this study was conducted in various resource-limited settings. Parameters tested included ease of use, use with various power sources, and ease of visualization of fluorescing Mycobacterium spp. under varying ambient lighting in field conditions. Ease of use was reported by each practitioner in subjective terms. Ambient lighting was reported subjectively on a scale from 1-10, 1 representing bright light (whether it be sunlight or an indoor lighting electric source) and 10 representing complete darkness. Visualization of Mycobacterium spp. using fluorescent verses light microscopy was reported in objective terms (Was it present? – Yes or No). Durability parameters included ease of transport, and any damage or malfunction during transport or routine use. Durability in terms of the life of the LED bulb was not evaluated as clinical hours did not exceed the estimated lifespan of the LED. Laboratory equipment included a conventional light microscope (American Optical), 110v and 220v battery power sources and the ParaLens system. Standard, unstained control slides prepared in the United States were used to test the adaptor. Approximately 25 slides (with included positive and negative controls on each) were prepared and examined by the authors with both conventional Ziehl-Neelsen staining (using light microscopy) and Auramine-O fluorescent microscopy (using the ParaLens). The ParaLens was also tested in the controlled setting of a state reference laboratory. In this part of the study, clinical pulmonary specimens submitted to the laboratory for routine smear and culture were included in this comparison study if initial smear results were positive for AFB by traditional fluorescent methods (Auramine-Rhodamine stain, Truant modifications). Negative smear slides were prepared using E. coli stock solutions. Initial smears were read by a skilled laboratory technician on a Nikon fluorescent scope, using CDC guidelines for AFB smear grading . For the comparison study, the ParaLens was attached to a Reichart A450 light microscope, and slides were read by a skilled microscopist unaware of the initial smear results. Slides were viewed using the attached 60x ParaLens objective lens using oil immersion, and results were compared to the initial findings using conventional fluorescent methods. Mycobacterial species included in this study were M. tuberculosis, M. avium complex and M.kansasii, as identified by subsequent culture results. The investigators found no inconvenience in transporting the ParaLens. Given its compact size and lightweight stature, the attachment easily fit into a regular microscope carrying case. The equipment was transported as airline checked baggage, as an airline carry-on, on city buses, in rugged-terrain vehicles and by canoe. We found the ParaLens adaptor easy to attach and detach to the light microscope. The ParaLens adaptor threaded easily to the microscope, but when attached, its presence limited the use of the other lenses. Attachment of the ParaLens precluded rotation of the other lenses, limiting the magnification and the use of the microscope temporarily for other tasks. This was an inconvenience in a lab being used for multiple microscopic tests. The optimal lighting for fluorescent microscopy is total darkness, however in field conditions lighting is most often ambient. Viewing fluorescing mycobacteria was slightly more difficult in brighter lighting, nevertheless in full sunlight we were still able to correctly identify the positive control slides. We found no difficulties or differences in the field operating the ParaLens using 110 volt, 220 volt or 12 volt batteries as power sources and experienced no detrimental effects stemming from local power fluctuations. Twenty-five samples were tested using the ParaLens attachment at the Maryland State Department of Health and Mental Hygiene Mycobacteriology Reference Laboratory. Five control slides were negative for acid-fast bacilli (AFB), while twenty slides of patient samples were of various degrees of positivity for AFB. These twenty-five slides were observed in random order by a skilled microscopist who had no knowledge of the positivity/negativity of the slides. When results were compared, there was 100% agreement between both the conventional fluorescent microscope and the ParaLens adaptor, with each slide being accurately identified as positive or negative. In addition, each positive smear slide was precisely identified according to its proper smear grade. Non-tuberculosis mycobacteria used in this study fluoresced at the same intensity as M. tuberculosis. Tuberculosis is a leading cause of morbidity and mortality worldwide, especially in resource-limited settings [1, 5]. The WHO has made the recognition and treatment of patients with tuberculosis one of its highest priorities. Research and development of improved diagnostics is one of the main goals set in The Global Plan to Stop TB 2006-2015 (WHO) . To meet these needs, diagnostic tools must be made more adequate than currently utilized methods and must also be safe, affordable and easy to use . Fluorescent microscopy methods for the identification of acid-fast organisms have become the mainstay of many mycobacteriological laboratories in the United States and around the world . In standard acid-fast microscopy, the oil immersion lens is used to scan the slide (1000x magnification) while in fluorescent microscopy, lesser magnification is used, thus saving a significant amount of time on each negative slide. Fluorescent microscopy is preferred in healthcare settings with large numbers of specimens submitted for suspected mycobacterial disease. 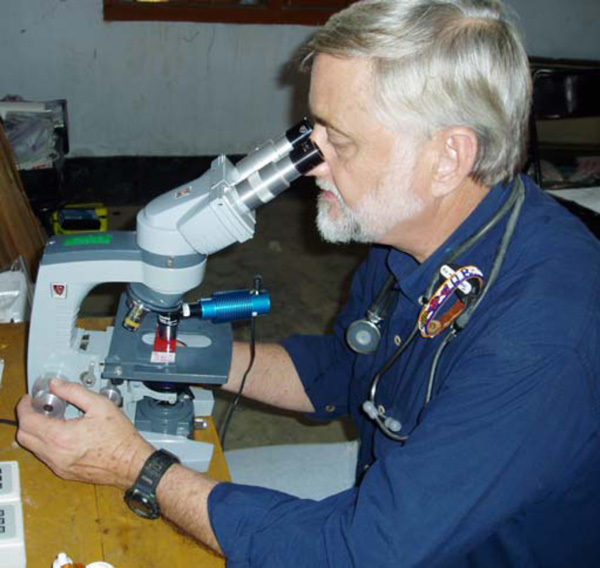 The use of improved diagnostics including fluorescent microscopy (such as the ParaLens system) in developing nations has been limited by lack of infrastructure, trained laboratory staff and lack of funding [8, 9]. However, fluorescent microscopy is potentially more sensitive and less labor intensive than traditional light microscopy using the Ziehl-Neelsen or Kinyoun method for the identification of acid-fast bacilli [6, 10-12]. Thus microscopists trained using conventional fluorescent staining and dark-field microscopy will have no problem reading slides with the ParaLens, as the technology is virtually the same. Therefore the ParaLens system is uniquely suited for application in developing countries. Lower costs than traditional fluorescent scopes provides affordability, and as demonstrated in this study, it is functional, durable, accurate and easy to use in rural, resource poor field environments and with various power options. The attachment avoids the purchase of a second microscope, since it utilizes an already existing compound microscope. Previous studies have tested a non-QBC ParaLens system utilizing a halogen bulb and fiber-optic cable, which limited the bulb life and luminosity [13, 14]. The use of LED bulbs in place of standard fluorescent bulbs provides extended life (estimated to be 15-30,000 hours), much longer compared to the life of a standard bulb (estimated 800 hours). The attachment can be used with standard 110V electricity, 220V electricity and with a battery for locations without electricity. The attachment compared favorably with more expensive conventional fluorescent microscopes in brightness, clarity and ease of viewing (see Figs. 2 and 3). Other authors have also found that the use of such equipment can indeed provide an excellent tool for identification of mycobacteria and can be a useful alternative to conventional fluorescent microscopy [12-15]. One limitation of this study was that the results were based on known positive and negative control slides prepared in the United States. While this does not affect the durability portion of the study, it is possible that sputum samples collected from patients outside the controlled setting of a public health laboratory in the United States under field conditions in the developing world may stain differently. In developing countries with a high incidence of tuberculosis and limited resources, this portable device could aid in increasing sensitivity of tuberculosis smears, leading to a decreased delay between identification of mycobacterial disease and treatment. Therefore, the ParaLens system is a welcome addition to AFB smear microscopy, and is a useful diagnostic tool in the global fight against tuberculosis (Fig. 4). Derek Armstrong has worked as a consultant for QBC Diagnostics, and has received financial compensation for projects unrelated to this study. Other authors in this study have no conflict of interest or financial relationship with the manufacturer or distributor of the ParaLens or QBC Diagnostics. Perkins M, Cunningham J. Facing the crisis: improving the diagnosis of tuberculosis in the HIV era J Infect Dis 2007; 196: S15-27. Kent PT, Kubica GP. Public Health Mycobacteriology: a guide for the level III laboratory Centers for Disease Control US Department of Health and Human Services, Atlanta Georgia 1985; 25. Palomino JC. Non-conventional and new methods in the diagnosis of tuberculosis: Feasibility and Applicability in the Field Eur Respir J 2005; 26: 339-50. Wright P, Wallace R, Wright N, Brown B, Griffith D. Sensitivity of fluorochrome microscopy for detection of Mycobacterium tuberculosis versus non-tuberculous mycobacteria J Clin Microbiol 1998; 36: 1046-9. Cohen GM. Access to diagnostics in support of HIV/AIDS and tuberculosis treatment in developing countries AIDS 2007; 4(21 Suppl): S81-7. Hanscheid T. The future looks bright: low-cost fluorescent microscopes for detection of Mycobacterium tuberculosis and Coccidiae Trans R Soc Trop Med Hyg 2008; 102: 520-21. Steingart KR, Henry M, Ng V, et al. Fluorescence versus conventional sputum smear microscopy for tuberculosis: a systematic review Lancet Infect Dis 2006; 6: 570-81. Singh NP, Parija SC. The value of fluorescence microscopy of Auramine-stained sputum smears for the diagnosis of pulmonary tuberculosis SE Asian J Trop Med Public Health 1998; 29: 860-3. Marais B, Brittle W, Painczyk K, et al. 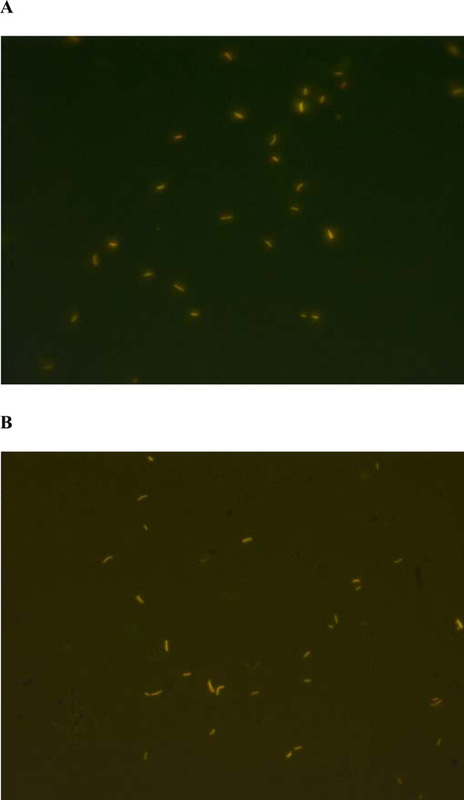 Use of light-emitting diode fluorescence microscopy to detect acid-fast bacilli in sputum Clin Infect Dis 2008; 47: 203-7. Patterson K, McDonald C, Miller B, Chapin K. Use of UV ParaLens adapter for detection of acid-fast organisms J Clin Microbiol 1995; 33: 239-41. Mattia A, Waldron MA, Sierra L. Use of the UV ParaLens adapter as an alternative to conventional fluorescence microscopy for detection of Pneumocystis carinii in direct immunofluorescent monoclonal antibody-stained pulmonary specimens J Clin Microbiol 1993; 31: 720-1. Perkins MD, Roscigno G, Zumla A. Progress towards improved tuberculosis diagnostics for developing countries Lancet 2006; 367: 942-3.